The genesis of Matt’s DITCH model of teaching starts in 2007 when he was lecturing and teaching from a textbook. He knew the kids were bored and so was he. He was stuck in the old paradigm of using the textbook as the curriculum along with worksheets and multiple choice tests. While I’m always leery of words as acronyms as their authors usually have to stretch things a bit to make them work, the DITCH acronym really works. It stands for Different, Innovative, Tech-Laden, Creative, and Hands-On. These are the hallmarks of Matt’s model that he rolls out in this book. 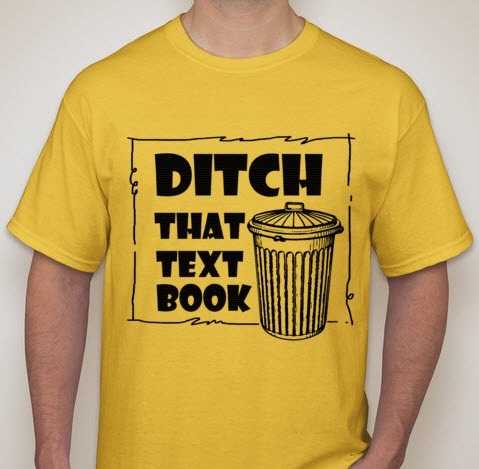 In addition to ditching your textbook, this model also requires you to ditch your curriculum and, perhaps more importantly, ditch your mindset. Imagine it’s 1904 and you want to have a conversation with the legendary John Dewey who lives in Chicago? Unless you lived nearby, this would be essentially impossible. Today, however, it is possible to have conversations or at least listen to famous educators from all over the world thanks to the Internet. If you started teaching when I did, you were probably were much less efficient that connected teachers today who have electronic filing cabinets and many other time saving applications. Today you can take your students on electronic field trips at little or no cost. Things you write don’t rely on good penmanship. Finding information seldom take more than a few seconds. In short, going digital makes your life and your students’ lives much easier. This entry was posted on Tuesday, April 5th, 2016 at 7:37 am	and is filed under Book Summaries, Education Books, Leadership Books. You can follow any responses to this entry through the RSS 2.0 feed. You can leave a response, or trackback from your own site.